Ratcheting Fruit Press #30 W⁄ Wooden Sla - F.H. Steinbart Co.
28L (7.5 gal) Capacity. 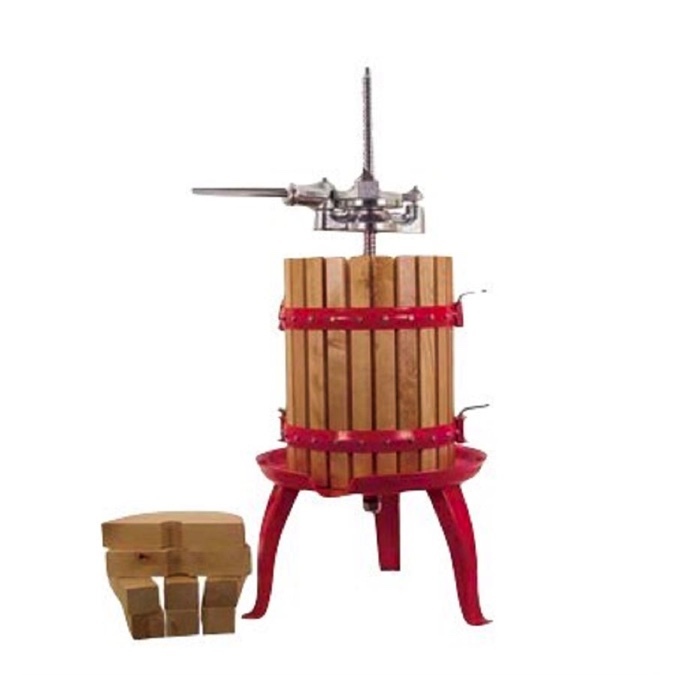 We reccomend these ratchet presses for the serious amateur wine maker. The ratcheting mechanism in this press allows for greater mechanical advantage than that of a yoke press, and has a locking feature.